Click here to select from The Menu of topics of common interest. Rabbi Peretz or Mushka are available to study with you at you convenience. 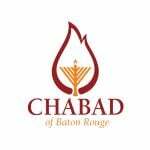 Email Rabbi@chabadbr.com or call 225-267-7047 to setup your session today!